On February 24th 1924, New Zealander, Hori George Alfred Morse met with Mrs Hilda Hunter in Outer Harbour and shot her dead before turning the gun on himself. Hori Morse claimed to have served with the New Zealand Expeditionary Force, was a lieutenant for the Flying Corps, and afterwards studied engineering at the London University. While serving with the Royal Irish constabulary at Tralee, Ireland he met Mrs Hilda Hunter and subsequently lived as man and wife. Although she was married, they still became attached, as Hilda’s husband was said to have been abusive. Eventually she left her husband and travelled with Morse to Africa before coming to Sydney. Morse also started to exhibit undesirable behaviour and Hilda tried to leave him, eventually having to go missing so he wouldn’t find her. 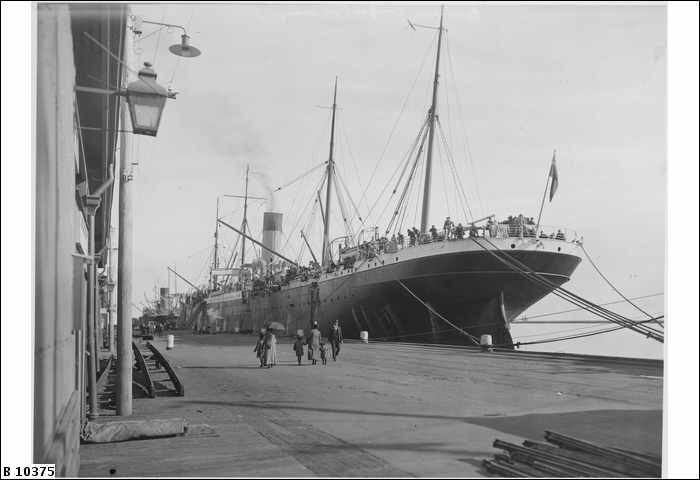 It didn’t work and he found out that Hilda was heading to SA on the ship the Medic so he travelled ahead of her by train, meeting the steamer she was on as it berthed. Within twenty minutes of the ship berthing, she was dead on the wharf. He survived the self-shooting and went to trial for murder. At the trial he said “I am innocent of murder” and claimed it was an accident and that he had never meant to shoot Hilda. “I did not fire it intentionally. I had killed one who was to me the dearest woman in the world, the one woman who made life worthwhile; the one I had come here to protect. I felt I could not live and fired at myself, but missed both times. I never intended to fire at Mrs Hunter, it was purely an accident”. Witnesses stated otherwise with one witness saying that he had seen Hori standing over Hilda. Hori was seen to step back and pull a gun out and shoot her once in the heart. Hilda swayed before falling to the ground. Hori ran off but returned in a car moments later. A witness, Charles Lockhardt, was questioned further as to why he had not reacted and stopped the shooting even though he admitted that he knew what was about to happen and would have had time to do so. He replied that he didn’t want a bullet for himself and that he was thunderstruck, not knowing what to do. He did however shout to another witness, Harry Dorling Elliott, an undertaker’s assistant who came running over. He told of how he had seen Morse sitting on a barrel and once the Medic had berthed, walked onto the ship returning 15 mins later in the company of Hilda. At this point Elliott was too busy watching a small shark being captured to take much more notice. It wasn’t until he heard the shot and Lockhardt called out to him that his attention went back to the couple. He watched as Morse carried Hilda in his arms and laid her down on a cinder heap before running off. Elliott ran over and helped support Hilda, while others went for help. Hilda at this stage appeared unconscious. He told of how a motor car pulled up beside them moments later and Morse got out asking “How is she?” before bending over and feeling her pulse. “Good God, she’s dead” he continued and leant forward and kissed Hilda before returning to the car. He pulled out the revolver once more and shot himself twice with the first bullet missing and going over his shoulder. The second found it’s mark and he fell to the ground. He had written on a card addressed to his brother “Come at once”. By the time the police arrived, Morse was still quite conscious with a bullet wound in his chest. Despite his protests of innocence the jury found him guilty and he was sentenced to hang on July the 6th at the Adelaide Gaol. Although remanded in the Adelaide Gaol throughout his trial and ultimately would have seen his execution there, he eventually served life in Yatala but was released after 10 years imprisonment. Whilst there he commenced a correspondence course with the South Australian School of Arts and Crafts while in Gaol and obtained high honours in his examinations. On release he returned home to New Zealand where he married and had 2 children. He finally passed away in the 1970's.